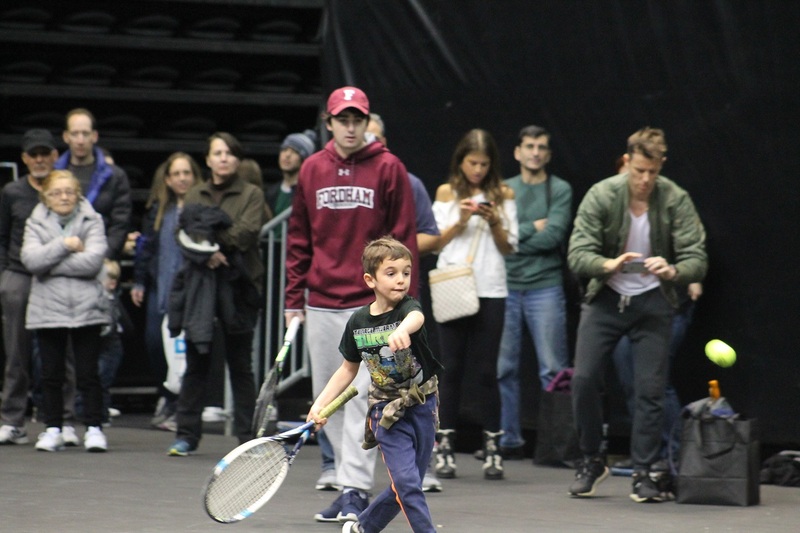 Step inside NYCB LIVE, home of the Nassau Veterans Memorial Coliseum on Saturday, February 9 from 10:30 a.m. – 4:30 p.m. for an array of tennis programming for people of all ages and levels. Throughout the day, there will be free tennis clinics taking place on both the Stadium Court and Grandstand Court of the New York Open. Local college programs will be conducting the clinics, along with special guest coaches including Nick Bollettieri, who has worked with greats such as Andre Agassi and Maria Sharapova, and Luke Jensen, former Grand Slam doubles champion. More to be announced! Click Here to preregister and receive your FREE parking pass. Inside the Expo Hall we will have a 10&Under mini-court presented by USTA Eastern for younger players. There will be instructors on the court to play points, help teach technique and keep the kids moving! One of the most exciting new racket sports will be on display once again during the Expo as our Beach Tennis Arena returns. Kick off your shoes and step onto the sand to give this fun game a try. New York Beach Tennis teaching professionals will be on-site to help demonstrate proper form and play some matches against attendees. A Speed Serve Booth presented by SPORTIME will be inside the Expo Hall so make sure you stretch out and fire up your best serve to see where it ranks against the pros! Make sure to preregister at 2019NYTennisExpo.EventBrite.com to receive your free parking pass! For those who don’t want to play themselves, be sure to make your way inside the Stadium Court to watch the ATP players practice for the upcoming tournament. The 2019 New York Tennis Expo will have something for everyone and is highlighted by our array of free programming taking place throughout the day. It kicks off what will be an exciting week of tennis on Long Island, with the New York Open running from Saturday, February 9 through Sunday, February 17. Visit www.newyorkopen.com for all ticket options and more information.